Two products in the range. Makes a great feed additive for spod, bag and method mixes, as well as a great addition for pre baiting. Sweet & Fruity Boilie chops– made from a variety of mixed fruit and sweet boilies, this mix contains birdfood, milk proteins and nut meal based boilies. 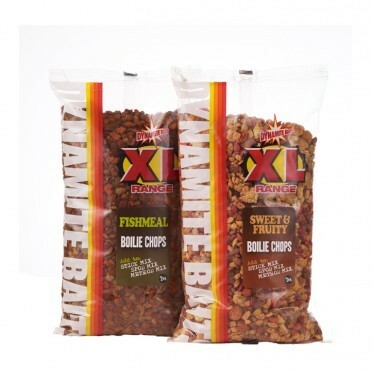 Fishmeal Boilie chops – containing a variety of fishmeal boilies from our range which include tuna meal, sardine and anchovy meal, GLM and other attractants.